More than 120 days after the murder of asylum seeker Reza Barati on Manus Island, still no one has been charged with his killing. The Cornall inquiry, commissioned by Immigration Minister Scott Morrison, into “the events of 16-18 February on Manus Island” has now been released. But we are none the wiser for it. Some basic mistakes damage its credibility from the beginning. He says that one person lost their eye from brutal bashings on the 17th—in fact two asylum seekers lost eyes. How could you get that wrong? Cornall blindly accepts G4S’s statement that it had no legal power to conduct searches of asylum seekers accommodation compounds when in fact “shakedowns”, generally conducted by local G4S guards supervised by white expat guards, are routine. Scott Morrison has accepted the Cornall inquiry and its recommendations. Why wouldn’t he? 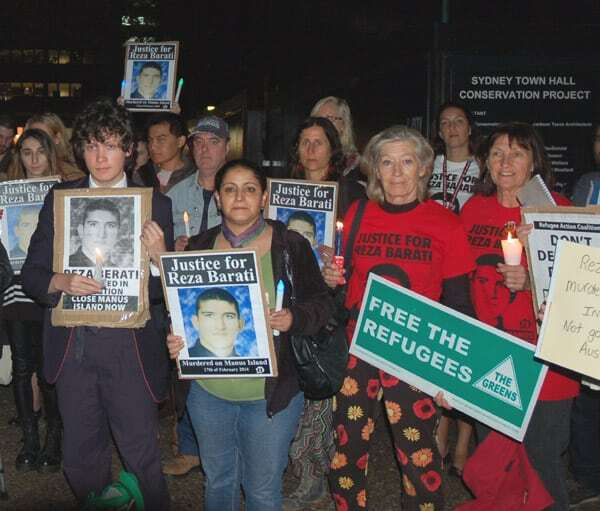 The Cornall inquiry is a white-wash. As predicted it essentially places the blame on the asylum seekers, saying that if there had not been a “riot” on the night that Reza Barati was killed, the police and locals would not have attacked the asylum seekers. Cornall even goes out of his way to justify the murderous PNG police attack, saying that the PNG mobile squad has an obligation to suppress a riot. Like the Four Corners program that claimed to set out what really happened on Manus Island, the Cornall inquiry uncritically accepts the official G4S version of events on the night. G4S says that the events were the result of predominantly Iranian asylum seekers engaging in a “sustained assault on other transferees and Centre staff”. But no centre staff were injured by asylum seekers. Yet the asylum seekers were seriously injured by PNG police and local PNG staff (although there are allegations that up to four Australian and New Zealand ex-pats were also involved). Such was the violence that one man, Reza Barati, was killed. G4S even makes the fantastical suggestion that protest were triggered by a note (that they never saw) thrown in an empty plastic water bottle (which are banned from the centre) from Foxtrot to Mike compound—over two compound fences that are around ten metres apart. Cornall uncritically accepts reports that rocks and pieces of metal were thrown by asylum seekers at locals on the night of the 17th. But, according to the G4S account, a week earlier they had gone through Mike compound removing rocks and anything else that could be used as missiles. The G4S version says that there was a “riot” in Mike compound before the police and PNG locals attacked. But every account by the asylum seekers themselves says there was no riot. Cornall does not even draw attention to that stark discrepancy. Steve Kilburn, a G4S manager who was at Manus Island on the night, has now backed up the asylum seekers’ account, telling the Senate Inquiry into the Manus events that there was no riot before the lights in Mike Compound were turned off—the cue for the vicious attack by the PNG police and other PNG locals. Nicole Judge, a ex-Salvation Army employee who worked for one and half years on Nauru and Manus, told the Senate Inquiry that, “Between September and 21 December 2013, over five protests were held by PNG nationals, making it unsafe for staff to walk to and from the centre and to visit the town, even during daylight hours.” And on one occasion, there was “an attempted invasion into Delta compound by locals armed with machetes.” All this was months before the attack that killed Reza. It is unlikely that anyone will ever be charged with Reza’s murder. But we already know who is guilty—Scott Morrison and the systematic brutality of offshore processing. On Christmas Island, where over 1000 men, women and children are earmarked to be sent offshore, Scott Morrison unleashed the Serco riot squad on peacefully protesting asylum seekers in early June. They were sitting-in to mark the 100 days since Reza Barati’s death. Heads were split open, and at least five had their wrists broken; one asylum seeker’s wrist was so badly twisted that a pin from a previous injury was ruptured from the bone. Morrison chillingly explained that the injuries were inflicted on the asylum seekers because they displayed “non-compliant behaviour”. Don’t expect an inquiry into that violence either.